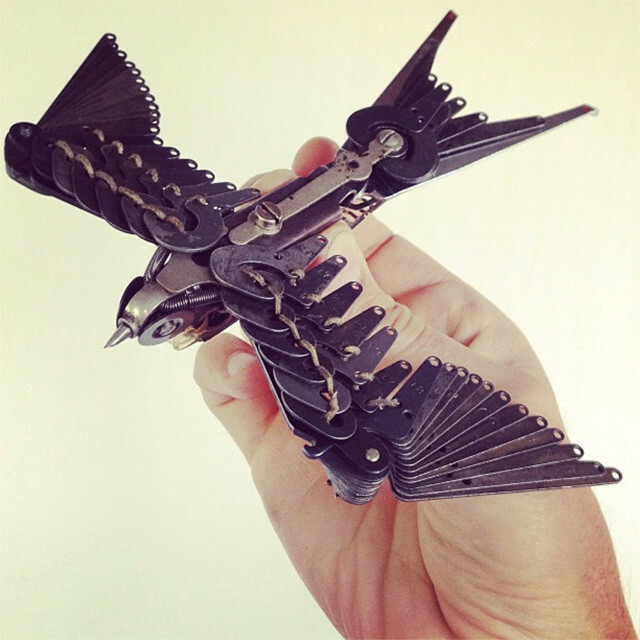 Artist Jeremy Mayer recently made two delightful sparrow sculptures out of salvaged typewriters parts. 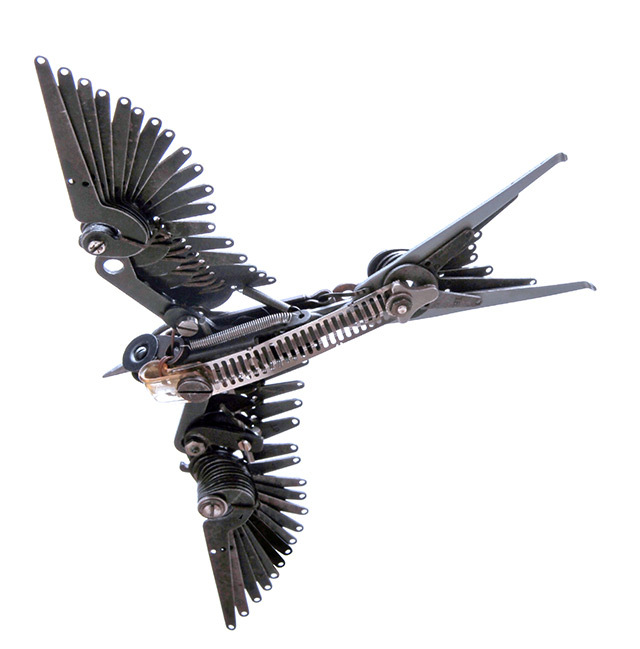 As you can see in this short Instagram video, the wings articulate. 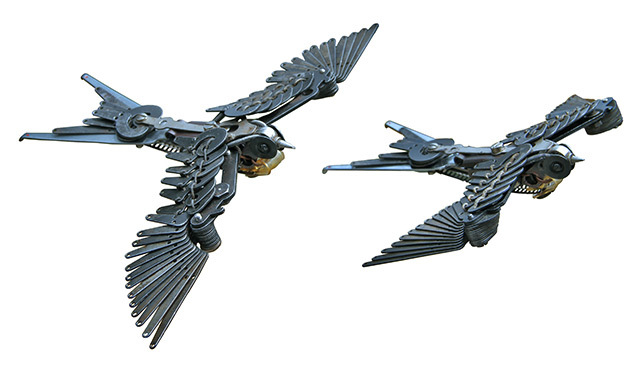 To see Mayer’s latest work, check out his Tumblr blog.